CORE RULES SAMPLE is a few pages from the Pirates Core Rulebook to display the game's overall graphic quality, level of detail the rules go into (or avoid), and general playstyle. 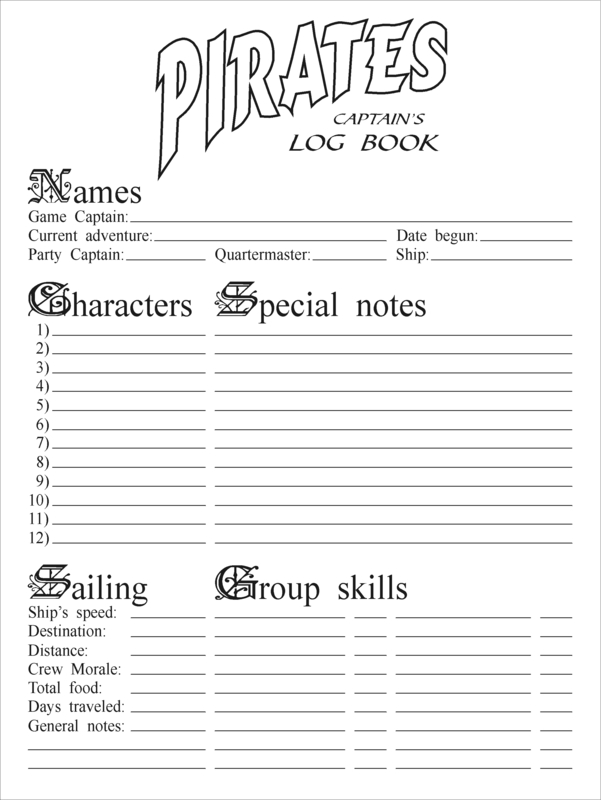 PIRATES ADVENTURE PACK ONE is all six mini-adventures provided below in one PDF file. BLOODY SUNDAY is a 2-page mini-adventure. DEAD MAN'S HAND is a 2-page mini-adventure. SIX FINGERED JACK is a 2-page mini-adventure. TALES OF THE BLOODY SAILS is a 2-page mini-adventure. THE EYE OF THE COBRA is a 2-page mini-adventure. THE TEMPLE OF DEATH is a 2-page mini-adventure. REFERENCE SHEETS is a 5-page file in PDF format of the most often referenced charts from the core rules (Rule Book, Player's Book and Game Captain's Book). 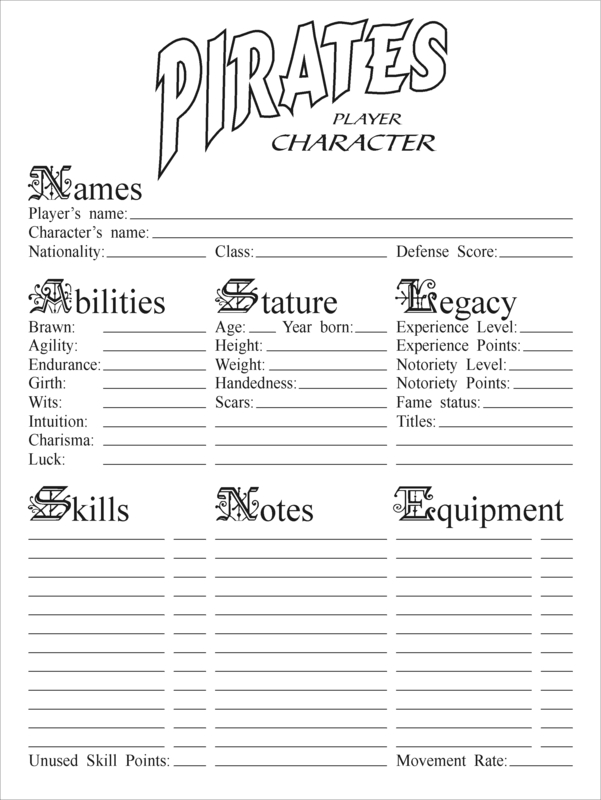 PDF RECORD SHEETS include individual the Ship's Log Sheet, Character Record Sheet and Game Captain's Record Sheet all in PDF format in one Zip file. 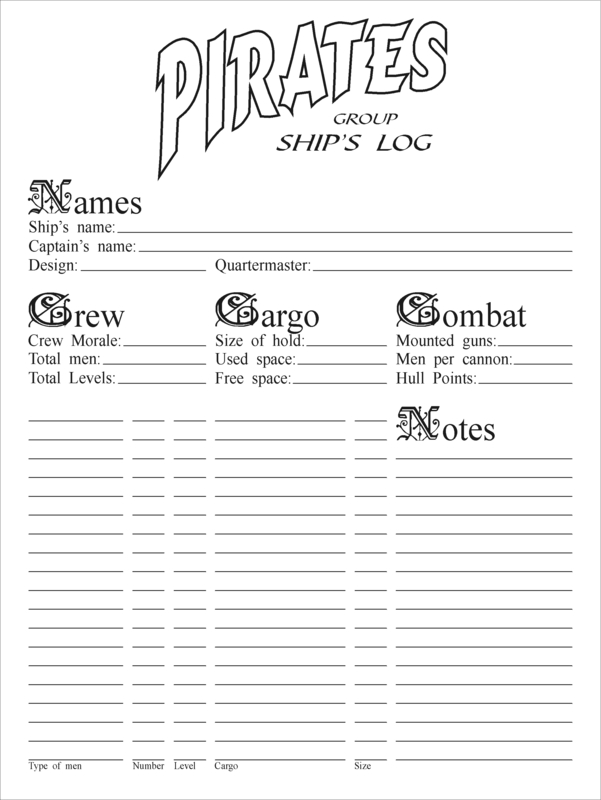 JPEG RECORD SHEETS include individual the Ship's Log Sheet, Character Record Sheet and Game Captain's Record Sheet all in JPEG format in one Zip file. 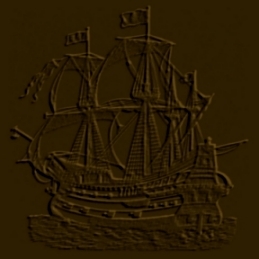 FONTS are the fonts used through the Pirates pages on this website, for optimal viewing.